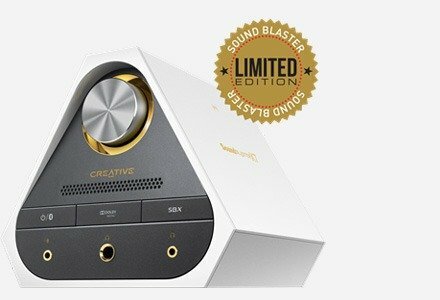 Riding the success of the critically acclaimed Sound Blaster Roar, the Sound Blaster Roar Pro raises the bar for portable Bluetooth speakers with its improved 5-driver system that is powered by two high-performance amplifiers. The Roar Pro is also made for professionals in their respective fields. Pair with Creative iRoar Mic (sold separately), and you'll get a wireless personal PA system (Public Address system) for presentations, conferences or even karaoke sessions! Staying true to the Sound Blaster Roar Heritage, the Roar Pro portable Bluetooth speaker continues to live up to the critically acclaimed sound signature and battle the laws of the acoustic engineering by packing all the awesome components and technology to bring you all that audio power within a compact enclosure, no larger than the size of a booklet. The Roar Pro now raises the bar for portable Bluetooth speakers with further enhancements: Improved 5-driver system, three preset audio profiles, longer battery life, and its ability to transform into a wireless personal PA system when paired with iRoar Mic (sold separately). For expressing yourself better in presentations, conferences or even serenading your love. The active 2.5″ driver pumps out impressive bass. Directing the audio upwards not only stabilizes the speaker, but also provides for a wider soundstage that doesn't require the listener to be situated in the audio sweet spot. It is further enhanced with dual opposing, side-firing passive radiators that widen the soundstage dramatically. The rigid monocoque endoskeleton chassis has fewer internal components that vibrate individually. This translates into lesser energy wastage and better audio quality. Durable and lightweight improved high frequency drivers deliver balanced highs. These dual 1.5″ premium drivers are also designed to provide far-field high frequency dispersion. Most portable speakers utilise a single amplifier to reproduce the entire audio spectrum. With a single amplifier design, much demand goes into reproducing the lows and mids, which compromises the delivery of the highs. On the other hand, the Roar Pro utilises two amplifiers - one dedicated to driving lows and mids, while the other is solely dedicated to deliver the high frequencies. This allows the speaker to produce uncompromisingly clear, high definition, and well-balanced music. The top firing bass and mid level driver is laid horizontally, reducing the speaker's centre of gravity, thus stabilising it. While many other portable speakers produce small, constrained sound, the Roar Pro is designed to deliver space-filling audio. That's because we have incorporated far-field high frequency drivers in the Roar Pro, and these project audio further than other speakers of its class. This is complemented by the boxer-style layout, which also delivers a room-filling, non-sweet spot-specific audio experience. Most portable speakers either focus on audio power, thus compromising audio fidelity, or vice versa; removing the power of choice from end users. The Roar Pro is designed to be different. By default, it produces balanced, high-fidelity audio. And in scenarios where sheer audio power is needed - in large parties and social gatherings, for instance - users can press the ROAR button that instantly boosts the loudness, depth and spaciousness of the audio. The Roar Pro's TeraBass is an intelligent feature that provides bass boost to compensate for the loss of perceived bass during low-level listening, such as at night or less-than-ideal acoustic environments. The bass compensation level will be reduced as the playback volume increases till it reaches the maximum dynamic output, where no processing is applied. Also, TeraBass can be switched off if the bass compensation is not desired. Take your audio experience beyond your favourite artist's potential. With the Roar Pro, you can switch between different preset audio profiles with an easy-to-use three-way switch. Select Warm for soothing audio, Neutral for balanced audio, or Energetic for a lively audio experience. Read on for recommended audio profiles customised for your favourite music genre(s). The Roar Pro supports the latest Bluetooth technology, aptX Low Latency codec. 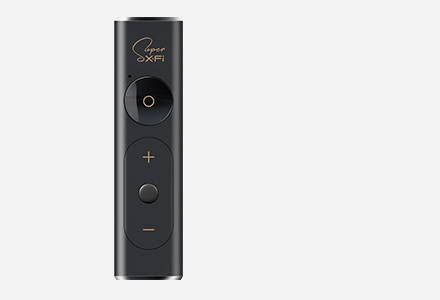 It is highly recommended for synchronising your audio and video, thus bringing out the best in your entertainment. Unlike many premium wireless speakers, the Roar Pro also supports aptX and AAC, which are advanced HD codecs that deliver high quality audio for Bluetooth transmission. 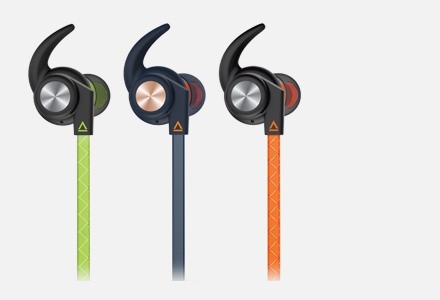 These codecs are crucial for great wireless audio that are also supported by branded Android phones and iPhone. With the BT-W2 USB Transceiver (sold separately) featuring Bluetooth and aptX, you can also stream high-fidelity stereo music wirelessly from your PC and laptops without wires. Its easy and fuss-free installation requires no software - just plug and play! Also made for professionals, this powerful Bluetooth speaker doubles as a wireless personal PA system, helping you deliver a compelling performance in your presentation, conference, classes, or even karaoke sessions! 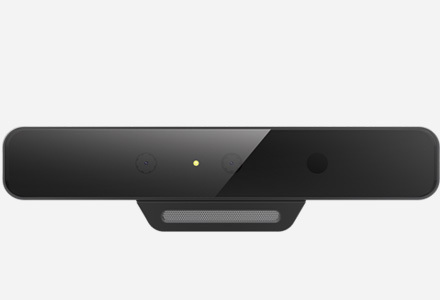 Simply connect the Roar Pro to the iRoar Mic (sold separately), and you are all ready to take the stage. Weighing at 30 grams only, with a battery life of 10 hours2, the iRoar Mic (sold separately) can be held, clipped or hung for versatile and convenient speech delivery and performance. The iRoar Mic also comes with a line-in jack that allows you to mix music from your mobile device, giving you wireless karaoke sessions! With the same high-capacity built-in 6000mAh Li-ion battery as the Sound Blaster Roar, the Roar Pro has a longer battery life that lasts up to 10 hours2, thanks to its optimised electrical design. Now you can enjoy non-stop hits from dusk till dawn. Out of juice? No worries, you have two ways to recharge your Roar Pro - with the included power adaptor for fast charge3 and/or the micro USB. The Roar Pro also doubles as a battery bank for your smartphone, whenever you need backup power. With the Near Field Communication (NFC) feature, you can connect to the Roar Pro more easily and efficiently. Simply tap to pair your NFC-enabled devices to the Roar Pro and you can get your party started. Take your calls handsfree, even when you're listening to your music. The Roar Pro features a built-in microphone and doubles as a wireless speakerphone when you pair your smartphone with it via Bluetooth! When you've finished your phone call, it intelligently returns to your music. Now, you can play your entire music collection5 directly from the Roar Pro without relying on your smartphone. Simply insert a microSD card that contains your favourite songs and press the Play button to enjoy a fantastic listening experience. With the Roar Pro, you can record business talks with your partner or a chat with a friend over coffee — all with a single touch of a button. You can even record incoming phone calls when you use the Roar Pro as a speakerphone. The Roar Pro acts as your personal file manager that lets you transfer media between your computer and your microSD card, using a micro USB cable. The Roar Pro is more than just a wireless speaker for smart devices. Users can connect their devices to their PC or Mac computers via micro USB to enjoy clear digital audio playback. 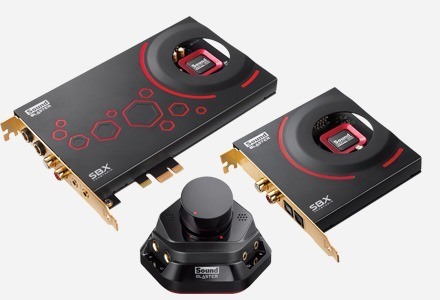 Connecting the speaker via micro USB enables advanced PC audio processing through the downloadable software - the Sound Blaster Control Panel and full access to the SBX Pro Studio suite of technologies that intelligently enhance audio in real time. Alternatively, you can connect the Roar Pro to your PlayStation 46 console via the micro USB cable directly to enjoy all that action with punchy bass and audio clarity. Even with wireless connectivity options, you can put an old school charm in the music you love. The Roar Pro comes with an integrated 3.5mm Aux-in port for connecting to other analogue audio devices. 1 Only audio playback from Bluetooth, microSD card and USB audio via PC/Mac are supported when the MegaStereo Cable is in use. While using MegaStereo feature, the audio may sound unbalanced when the Sound Blaster Roar is running on battery mode after an extended period of time. This is due to the difference in individual speaker battery levels. For optimum performance, it is recommended to connect both speakers to their power adaptors. 2 Actual battery life will vary with use, settings and environmental conditions. 3 It takes 2.5h to fully charge the Sound Blaster Roar Pro via the included power adaptor. 4 Playback of music is on a turn-by-turn basis, with 1 source playing at a time. 5 Supports MP3 and WMA up to 320kbps. Records audio, voice or mobile calls 16k, ADPCM wav format. Compatible with microSD cards of class 4 and above, up to 32GB. 6 System requirement: PS4 firmware 2.03 and above. The audio performance is very good. Sound separation is just OK, but that’s typical of Bluetooth speakers. However, using the aptX codec (with a MacBook Pro) seemed to help in this regard. Also, mid range performance seemed a little bit off at first, but that was quickly remedied by pressing the Roar button. I would say, performance is comparable - if not better - than the Bose Soundlink III performance]bose_sliii_amzn. It’s really that good. With all its features, the Creative Sound Blaster Roar Pro easily earns a spot in our Top Picks of 2016. Not only does it feature a nice compact design, but the fact that you can use it with Bluetooth devices, legacy devices via the AUX jack, as a USB speaker for your laptop or computer system, or standalone with the microSD card and built-in music player makes this an excellent speaker. Nothing you've experienced will prepare you for how fantastic it sounds given it's miniature stature. It's capable of being really freaking loud. Easily enough to fill a decent sized room. So often with small speakers we're hitting ten on the volume and, like Nigel Tufnel, looking for the 11. The Roar Pro unquestionably deserves the Roar moniker. The Sound Blaster Roar was one of the best Bluetooth speakers I tested last year, but the new Roar Pro has exceeded my expectations in just about every way. With improved built quality, richer audio and a more attractive price tag, the Roar Pro makes competing Bluetooth speakers look like they belong in the bargain bin. In a few words: Great, Powerful, Clean speaker. 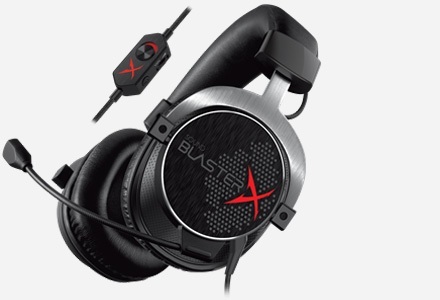 I'm amazed by my Sound Blaster Roar Pro!! Another brilliant portable. Great sound and definition. Exactly what I need for use in chapels for music and small halls for music. Sound quality and power is excellent. Have yet to try it with Bluetooth but certain it will perform well. I am very pleased with the Creative Sound Blaster Pro. The sound is full and clear, the bass very impressive and the amount of functions & options overwhelming (but very, very welcome!). It's quite the looker as well (to be honest, it's what drew my attention in the first place!). Just a couple of small things that could be improved. The battery life could be a little longer, the sound profile switch could be a little bigger and it would be nice to have a less lengthy sound interruption when you're switching between sound profiles (or the tera bass / roar modes). 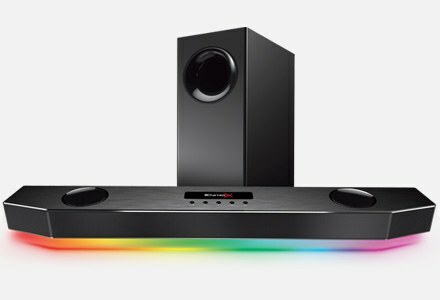 This is one of the best speakers I have ever seen so far. I am so impressed that I referred it to most of my friends. One of my friends challenged me on this, so I took this speaker to the audio store and compared it with every speaker in its class there. This includes Bose, JBL, Sony, and Samsung!!! Nothing else came even close :) Even the sales assistant agreed that this is by far the best speaker in its range and is the best feature-rich speaker that you can buy for this price. I recommend it to anyone who wants to buy a portable speaker with a punch and a reasonable price! microSD or microSDHC cards up to 32GB formatted in FAT/FAT32. Common audio formats such as MP3, WMA and WAV. (MP3 and WMA up to 320kbps). 1 Supplied interchangeable plugs may vary according to region and country.